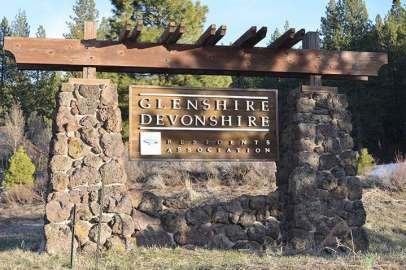 Known as the “Banana Belt” due to it’s low snow volume, the Glenshire community which includes Cambridge Estates and The Meadows, is composed of 80% full-time residents and is located 6 miles east of Truckee and 25 miles from Reno. This family-friendly neighborhood offers plenty of wide open spaces for exploring, horseback riding, mountain biking and cross-country skiing. Located in the heart of Glenshire is a general store, daycare center and elementary school. HOA amenities include a swimming pool, clubhouse and tennis courts. Homes in Glenshire are primarily single-family located on smaller lots, but 1/4, 1/3 and 1 acre lots that have been zoned for horses are also available. Cambridge Estates is a newer community located between Glenshire and The Meadows. Nestled in a pristine setting, Cambridge Estates was originally comprised of 65 spacious custom home site lots, ranging from 2.3 to 6.98 acres in size. Some homes have since been built, while a number of large lots are still available. The Meadows is a gated community with a big appeal for equestrians and those who enjoy their privacy. Located on the bluffs near Glenshire, panorama views of the Boca Reservoir can be seen and the community is mainly composed of large estate homes. Homeowner’s Association dues at The Meadows are collected each year for road maintenance.